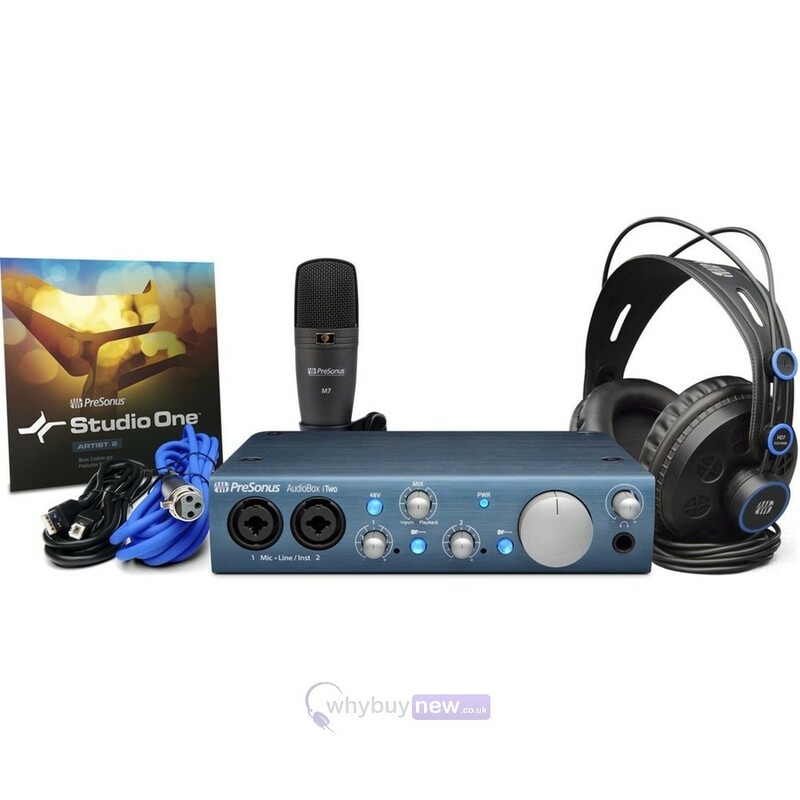 This is the PreSonus AudioBox iTwo Studio featuring the AudioBox iTwo audio interface, the PreSonus M7 condenser microphone, and the PreSonus HD7 professional headphones. This brilliant set brings together everything you could need to produce songs, podcasts and sound effects to a professional standard but at a price that's suitable for students and beginners. 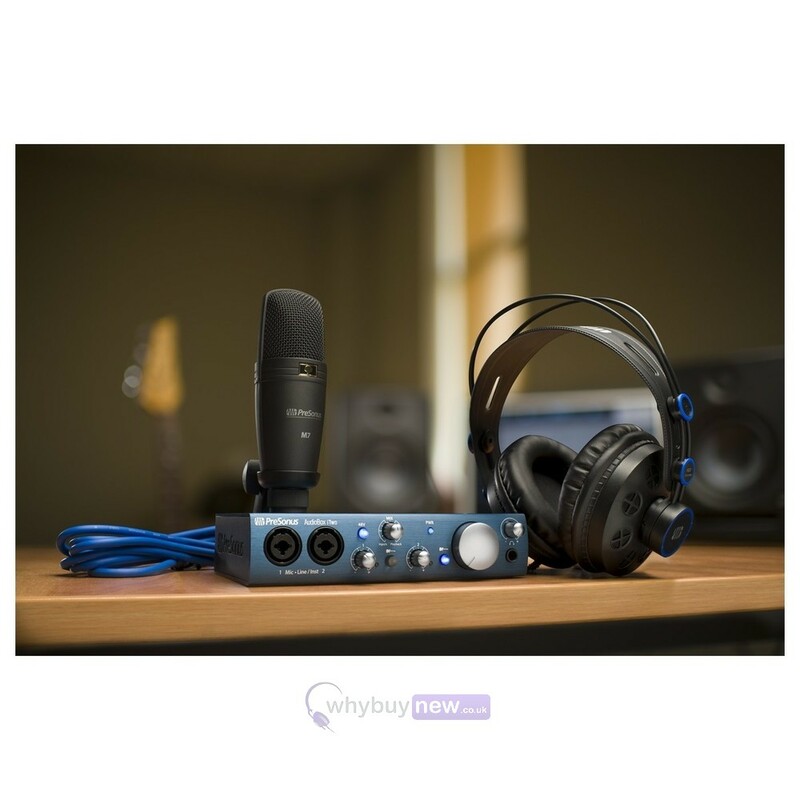 The AudiBox iTwo comes with two combi 1/4" stereo jack/XLR inputs plus MIDI I/O so you can easily hook up the PreSonus M7, musical instruments or even a synth or keyboard controller - whatever your style you'll be able to record high quality audio wherever you are. 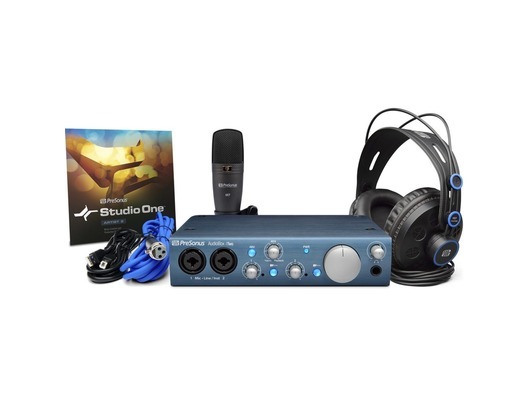 Record wherever inspiration strikes with this complete, all-PreSonus package! 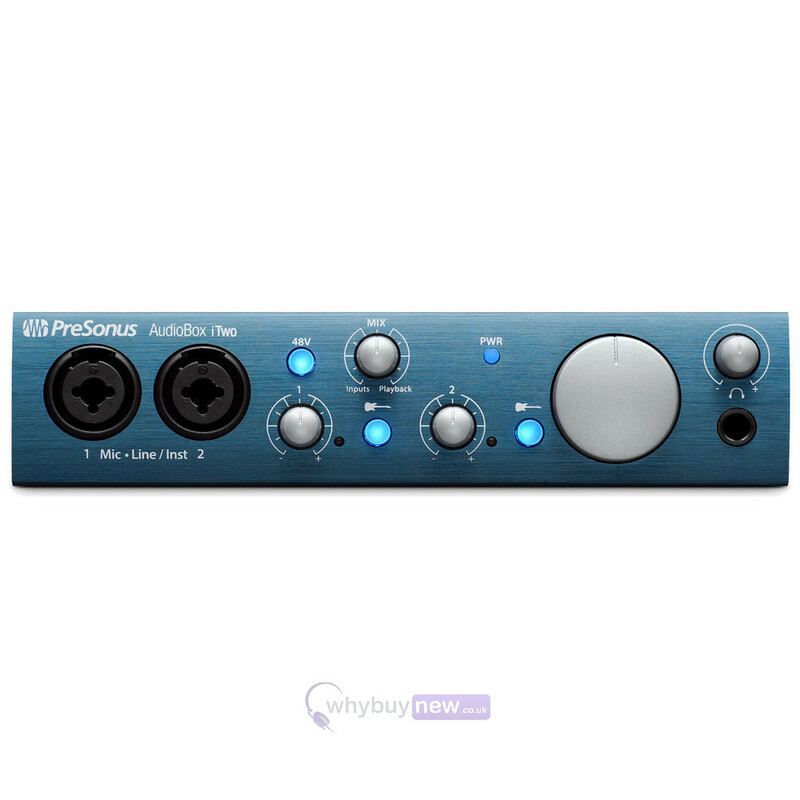 Featuring multiplatform, bus-powered AudioBox iTwo audio/MIDI interface and award-winning Studio One recording and production software, PreSonus AudioBox iTwo Studio includes everything you need to record demos, rehearsal sessions, podcasts, sound effects for video, and your next hit record. The AudioBox iTwo is our most versatile bus-powered audio/MIDI interface, providing two combo mic and switchable line/instrument inputs with a high-performance mic preamplifier. 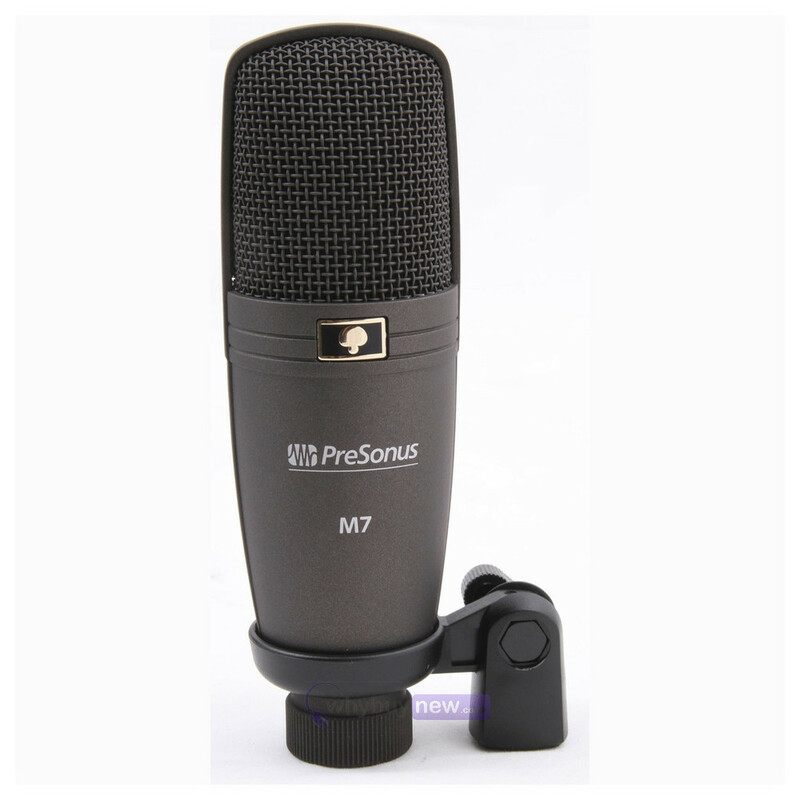 In the studio or in the field, its great for recording synths, guitars, and anything you can capture with mics. Compact and ruggedly built, AudioBox iTwo is a complete solution for mobile musicians, sound designers, and podcasters. 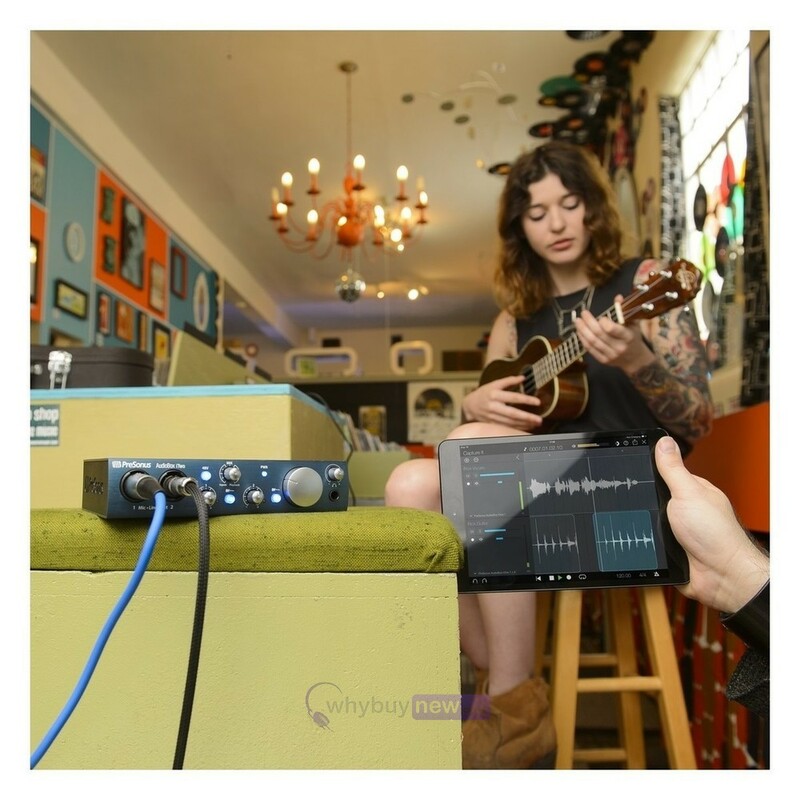 Based on Capture live-recording software for StudioLive mixers, Capture Duo lets you record two stereo tracks with up to 24-bit, 96 kHz fidelity using the AudioBox iTwo, another MFi audio interface for iPad, or the iPads built-in mics. 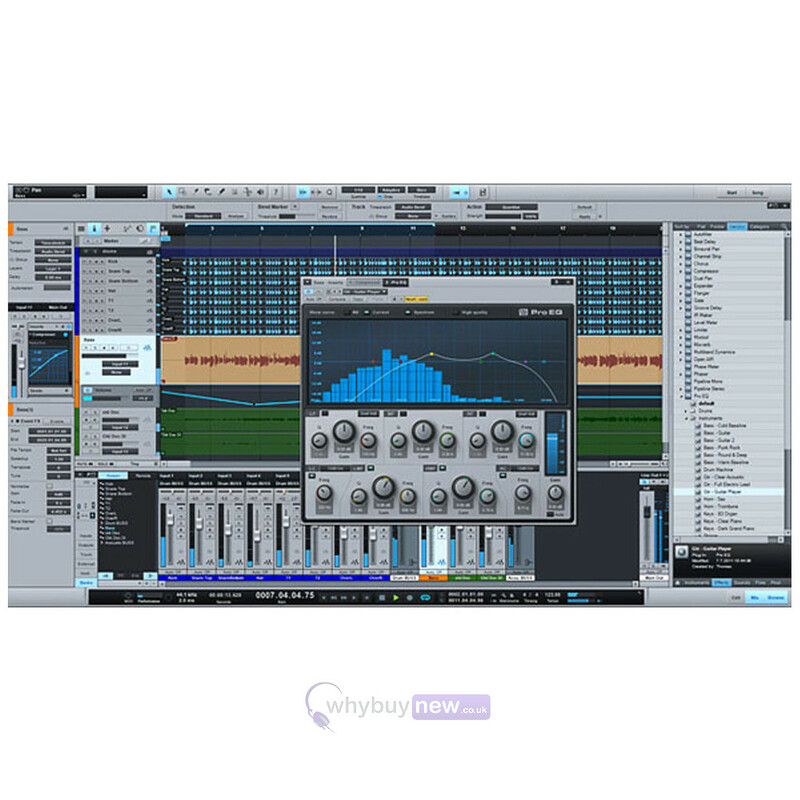 You can wirelessly transfer recordings directly from Capture Duo to a Mac or PC running Studio One, then edit, sweeten, overdub, and mix with the power of a world-class DAW. If two tracks arent enough, purchase the low-cost, 32-track Capture for iPad to create a truly mobile professional recording system. 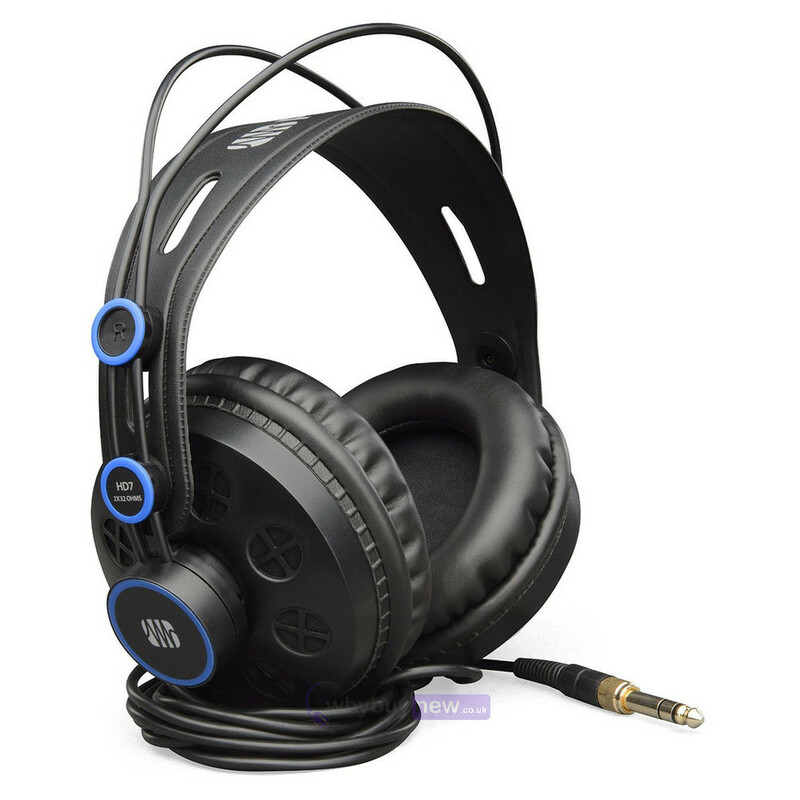 PreSonus high-definition HD7 headphones take advantage of a patented, semi-open sound chamber to deliver exceptionally deep low frequencies with a balanced and yet powerful bass punch. Accurate midrange and extended treble response let you pick out the fine details of a mix or track. The lightweight, ergonomic design adjusts to any head size, offering a comfortable listening experience during long recording sessions.